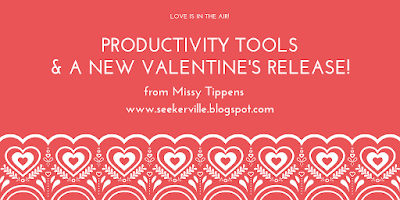 Seekerville: The Journey Continues: Productivity Tools for Writers... and a New Release! Productivity Tools for Writers... and a New Release! I have a couple of cool new things I wanted to share today—tools that might help you with productivity. For the first one, you may need to open your mind a bit. :) But stay with me and don’t shut out the idea until you’ve tried it. Have you heard of it? I recently heard about the The Tapping Solution app and decided to check it out. You can read about it—click here. They do have several sessions you can do for free, which are the only ones I’ve tried. The website says: “Tapping, also known as EFT (Emotional Freedom Technique), is a powerful holistic healing technique that has been proven to effectively resolve a range of issues. It is based on the combined principles of ancient Chinese acupressure and modern psychology.” Basically, in a session, you tap different parts of your body, like areas of your head and face, while working on moving your thoughts from the negative to focus on the positive and your potential. It helps get the “junk” out of your brain (kind of like morning pages, if you’re familiar with The Artist’s Way by Julia Cameron). I’ve found that it really does help me move past anything that’s distracting me. I’ve also found tapping helpful for dealing with tension headaches. You’ll find tapping sessions for a variety of purposes. Check it out and let me know what you think! • Don’t use your computer’s dictation app. Do dictation on a good MP3 recorder (Sony was recommended by one author). • if you use a phone, don’t use the Notes app. Get a voice recording app. • Don’t edit during dictation. It’s too slow. I searched and found this article where they list some of the best software (free and pay). I really would like to try this method to find out if I can be more productive. I admit that so far I’ve only played with the dictation built into my Mac, and found it very difficult! Yes, the learning curve will be steep, but possibly worth it. Last year, I recommended my Panda Planner. Now this year, I purchased My Brilliant Writing Planner from Susie May Warren’s site. This planner includes much more than a calendar—it includes life activities, book and career planning, and spiritual activities. 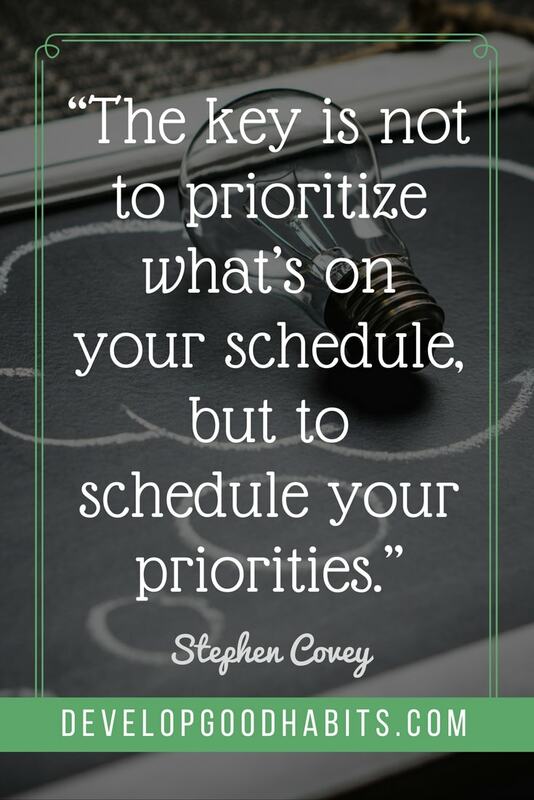 Find a planner that works for you—even if that’s just jotting deadlines on a calendar or in your phone calendar app. Writing down goals and keeping a calendar will help you remain productive. This would include challenges like National Novel Writing Month and other Finish the Book programs. I did a post on this several years ago (click here). It’s based on Allie Pleiter’s book, The Chunky Method: Your Step by Step Plan to Write That Book Even When Life Gets in the Way. Allie’s book can help you figure out your prime writing chunk (are you most creative in small chunks or larger chunks?) so you’ll be more productive. Check out my post at the Seekerville Archives and also Allie’s book to find out more. Before we chat about what helps your productivity, I’d like to celebrate the new release of the third novella in my Home to Dahlia, Georgia, series! To celebrate, I’ve put the first and second novellas on SALE. So please check them all out at my Amazon author page! Her Valentine Reunion is here just in time for Valentine’s Day! What happens on the very day Abbie Rogers makes a preemptive strike against Valentine’s Day funk by declaring herself content to be single? Why, Victor Wallis, the man who broke her heart, comes crashing back into her life, of course. Not only that, he declares himself a changed man, and he truly seems to be. She even finds herself falling for him again. But when he makes a move to take over her family’s business, Abbie’s not certain she’ll ever be able to trust the only man she’s ever loved. After more than 10 years of pursuing her dream of publication, Missy Tippens, a pastor’s wife and mom of three from near Atlanta, Georgia, made her first sale to Harlequin Love Inspired in 2007. 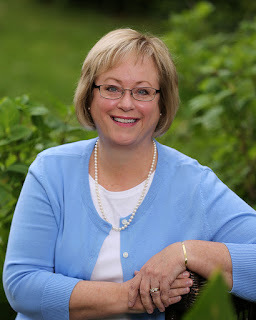 Her books have since been nominated for the Booksellers Best, Holt Medallion, ACFW Carol Award, Gayle Wilson Award of Excellence, Maggie Award, Beacon Contest, RT Reviewer’s Choice Award, and the Romance Writers of America RITA® Award. Visit Missy at www.missytippens.com, https://twitter.com/MissyTippensand http://www.facebook.com/missy.tippens.readers. When you said you were going to announce a new novella Monday, I thought it would be coming out in September or October as so many announcements do. It was immediately available. Instant gratification. That's a lot like the old saying: "a debt paid early is twice paid". I now have all three of the novella series on my Kindle. All I have to do now is read this newest novella by Valentine's Day! "Plan your work and work you plan." Vince, thank you for reading!! I hope you like it. I'm always interested in what you think. So let me know! Good points, Missy. I tend to do something similar to the "chunk" theory, mostly because all I HAVE are chunks of time. I need to work on some of these techniques. The tapping isn't that weird, we have much to learn from the East. I need these tips because I haven't written a book FROM SCRATCH for about two years. I've been reworking older projects and doing them fairly successfully based on What I Know Now. But my publisher has asked me for the third book in "Western Dreams" (which means I guess they plan to publish the second book even though I haven't signed anything), and that means I have to Write Something. So I'll be plotting it over the next few months and then writing it over late spring, summer and fall. So yeah, I need all the help I can get. Kathy, that's exciting that they've asked for the next book! Yeah, Allie's method talks about people who do well in short or long chunks. I tend to do better in long chunks--which are hard to come by. The Valentine release looks like a fun one, Missy! I've long been a timer person -- it keeps me from getting so caught up in my story world that I forget that I have to go to the day job! And it's great, too, to get me started if I'm feeling sluggish in a writerly way--I set it for 15-30 minutes and tell myself that's all I have to do, then it's usually well BEYOND that before I quit (or have to quit). What a great list. I think I need to try them all. And yes, tapping sounds a little weird :) but I'm willing to try anything to get my production level up! Thanks for another great post! I use the timer on my phone. I usually set it for 45 minutes and don't let myself up until it goes off. The past few months, I've started being accountable on a daily basis with a couple of ladies. I found this motivates me more than weekly or monthly goals. Although, I have long term goals, they are sometimes overwhelming and I like breaking it down into daily goals. Dictation sounds interesting. I may try it. And tapping? You said you felt weird, but did it help? Jackie, it sounds like you have a great plan! I love accountability partners! Yes, I have felt like the tapping helps. It helps me focus my mind more than anything. And it helps encourage positive self talk. It has also helped a couple of times with headaches, believe it or not. I think it helps me to relax and let go of the tension. I like dictation and did dictate a few whole books in college, three were plays, but back then, BC, before computers, I just had a professional typist do a great job on the manuscript. She even had an IBM typewriter which featured proportional spacing which looked a lot like a real type set book! But today I use dictation to capture a few good ideas on the spot before I can forget them. However, today it is way too much trouble to dictate and then have to listen and type out what you dictated. I'd just rather get it down on computer from the start. I've heard voice transcription is now much better after years of revisions and trying to get it right. But I'm not sure I'd want to mess with both dictation and transcription. Besides nothing will drive me nuts faster than a bad voice to type program! Not only do you have to learn the program, the program has to lean you! Have you or anyone else used voice transcription with any success? Vince, I haven't tried dictation yet (other than a very bad attempt on my Mac's built in program). But I have seriously considered buying an MP3 recorder to try it. I think it could work for me, because while I'm driving alone I tend to talk my plots out loud. So I think talking the story out loud could help my focus. I guess I need to try it to find out! First, tapping... where do I tap to WAKE UP? And I am not even kidding. Yawn! Next, yesterday, I listened to the coolest podcast from the Trim Healthy Mama sisters (Pearl & Serene) and a guest, Dr. Thomas Lucky. Dr. Lucky is a medical doctor but practices holistic medicine from a Christian worldview. I know next to nothing about holistic medicine, so I'm not advocating for or against it, but the podcast was so interesting. One of my takeaways (in my own mind, at least) is that holistic medicine anchored in scripture is just a new way of describing our faith in the healing power of prayer, laying on of hands, acceptance and belief in healing, and God-given medicines and techniques to heal our bodies. Missy, at the very end of the podcast, they briefly talked about Grounding -- or Earthing. It was fascinating and I'm ready to go sink my toes into the grass and dirt in my yard. :) Dr. Lucky has a book out that I might get at some point. His office is only about an hour from me, so that's pretty cool as well. Also, if anyone listens to the podcast I'm talking about, please be aware that Pearl & Serene grew up in Australia, so they have this odd half Aussie/half American accent that ping-pongs back and forth and takes some getting used to. And Dr. Lucky? He's from Mississippi and if y'all thought I sounded like a country hick, wait until you hear him. Oy vey! Pam, that sounds so interesting!! One of the things I've found I do while tapping is combining it with prayer. So I can get how that can work! I'll have to check out that podcast. At least in writing your voice sounds more like Williamsburg, Brooklyn than Hattiesburg Mississippi. BTW: I'm listening to the podcast as I write this. Just one point: when the bible was written the view was that the mind was located in the heart not the brain. This can be important in some quotes that mention the heart. Thanks for pointing out Biblical quotes about the heart/brain. I'm thinking of doing my next devo at church on this topic and that will something good to keep in mind (in heart? :) for my talk. You be careful now. The nuns told me back in New Jersey, in grade school, that if you went barefoot in Mississippi you'd get hookworm. And hookworm will make you very lethargic and cause you to talk very slowly. I've been a little afraid ever since. I don't know how true all this is but that is one memory that really stands out. Them nuns were real Yankees! Pam, did you see the facebook thing that talked about being in the dirt (gardening, etc.) is actually therapy... I mean I always knew it kept me from killing people randomly, but that putting hands in dirt creates a physical therapy. All I know is I do like playing in the garden!!! And getting dirty. Working in the soil can be hypnotic and endorphin inducing. Farmers can actually get withdrawal symptoms when away from the farm too long. Taking the train out of London we saw hundreds of the back yards of townhouses, (yards about the size of an average bedroom), each and everyone with a well tended garden. Where it is cold and rainy and vastly overcrowded, a garden and working your hands into the dirt, is to many a soul saver. Hi Missy - sure looking forward to reading your new book. I'd love to figure out the dictation thing. As you said, the how-to will take some practice. For now I'm off to read about tapping. You've piqued my curiosity! Cindy, you'll have to let me know if you try tapping! And also dictation. I think I may try again on my computer before investing in a recorder. But the authors who were at that workshop who had already been using dictation were very excited about how it has sped up their writing! Missy, Congratulations on your release! The cover is adorable! Thank you, Caryl! Rogenna Brewer did it for me. She's so good! 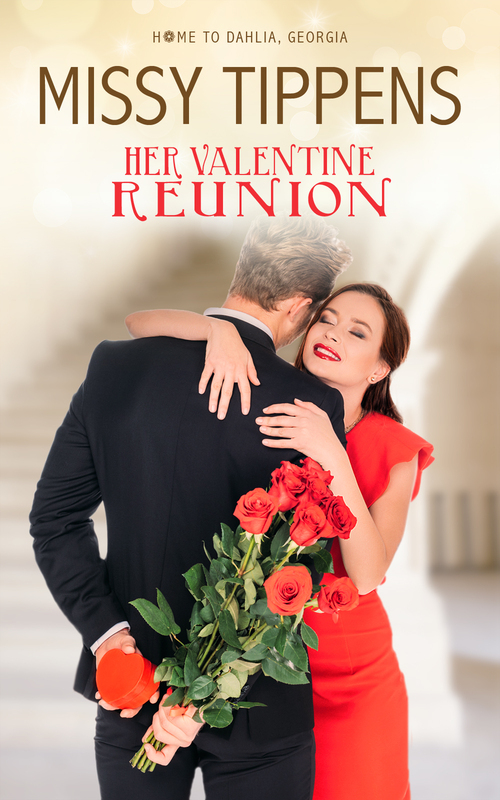 Missy: How could you not dedicate your new Valentine book, "Her Valentine Reunion", coming out so close to Valentine's Day, to your very own Valentine? A wonderful warm Valentine dedication would have set the whole novella up in a romantic embrace that so enhances the reading experience. Interesting post, Missy. 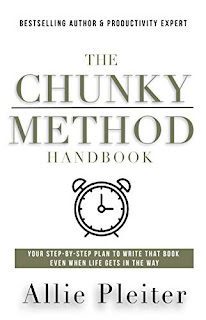 I think I will have to get Allie's book on the chunky method. I think that might be helpful. Congrats on your novellas! We are having another day of freezing rain so school has been cancelled, meaning my sub job is cancelled and I now have a free day for a change. Hope to get some writing done. Enjoy your day off! And stay warm. I look forward to reading your new book. Thanks for sharing that the first two are on sale. I hope you like it, Connie! Missy, I like the Chunky method. I may want to try that if I'm of a mind to. Julie, if you decide to try it, I hope you find it helpful! 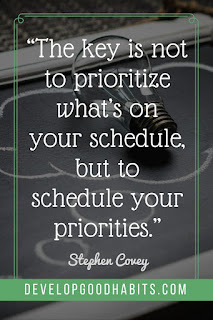 Thanks for sharing these new productivity tips, Missy! I’m going to try the tapping as I get migraines and it sounds like it could come in handy. As for dictating, Dragon Speak software has a reasonably steep learning curve, depending on how techie you are (I am NOT) but it’s a lifesaver for those days you’re behind, have a migraine/headache, or just want to lay down a rough synopsis etc. It’s pricey and you have to keep it up because I found that after not using it for months I had to renew its ability to “read” my voice vs. spelling. Your new novella sounds like just the thing for another freezing cold, -27C day! That is COLD, Laurie! I hope you have a nice fire going! Stay warm!! I can't comprehend that type of cold. I just did the conversion (thanks to Google) and that's -16 degrees F! I spent some time earlier this year figuring out what kinds of things bring my productivity down. No surprise, Facebook is a biggie! But the one that surprised me is when I have tasks waiting to be done. I tried ignoring them until I put a dent in my word count each day, but I work better if my "plate is clean." So I assigned certain tasks to each day (today was balancing the check book and paying bills) and I don't even try to work until that day's task is done. I also stopped trying to write first thing in the morning. The middle of the day works best for me - unless a deadline is pressing. Then it's "write whenever you can" time! But now that I know what stifles the productivity, it's time to boost the productivity when I'm sitting at the keyboard. Jan, that's great that you figured that out!! We should all try to do that. I'm so glad you mentioned this. It's not something I've ever thought of, but is definitely something I need to investigate to see whether it affects me. Thanks for sharing! 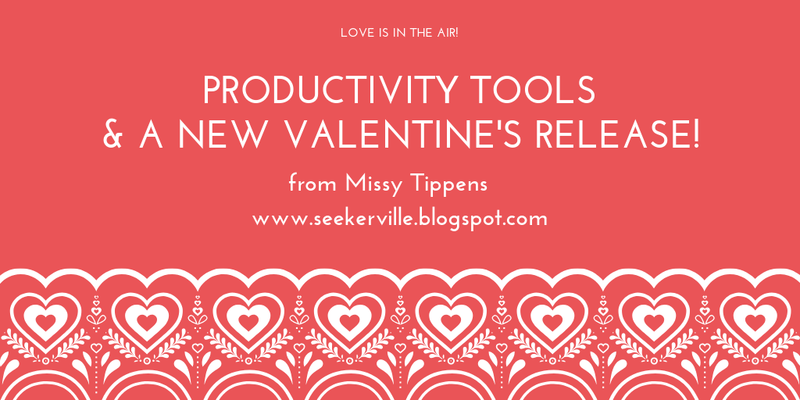 Missy, what a great compilation of productivity tools! I've never heard of tapping, but I'm going to look into it. I LOVE the My Brilliant Planner. It's helped me to organize, think through my days and weeks and months, and to think ahead, like changes to make the next month. I look forward to checking out more of the resources you mentioned! Jeanne, I'm glad you're enjoying your planner! I'm behind on getting mine totally set up because of being in the hospital for a week with a family member in January. Everything got thrown behind. But I love the features I've used so far! My January was a stressful one too. I hope life is calming down for you and for your family member. Missy, great tips. Thanks! I need to read up on Tapping...also Dictation. Not sure if dictation would work for me, but willing to give it a try. I love my kitchen timer. My BFF when I'm on a deadline! I do love Speak Easy on WORD. Having "the voice" read my text back to me has been a huge plus. I often pick up errors that I never noticed. Congrats on your Valentine release! Woot! So exciting! Love your stories! Thank you for giving us these devices and techniques for increased output. I've used successfully the ultra slim Sony MP3 recorder for doing interviews but not for dictation. A lovely cover for your Valentine's Day release, Missy. Pat, since you already have the recorder, it would be easy to give it a try. You'll have to let us know what you think! Missy, I like your suggestion. Many years ago I worked as a medical transcriptionist for a group of docs. How did I not remember that.This time I'd be typing while listening to my own voice. Great idea. Talk about 'tapping', I believe that Buddhist prayer wheels act to do the same thing. Also when people fighting addition use rubber bands to snap their wrists when temptation strikes it does something similar to acupuncture in sending the brain more stimulus to process which can lessen and even obscure the problem at hand as in pain. This also seems to work by using ice packs to fight some pains like back pain. I think all these examples give a firm scientific foundation for 'tapping' working. I have not tried 'tapping' but I think I will if I get a bad headache. Back in the day I found that talking a long walk along the ocean shore worked miracles and helped solve even the most difficult sentential calculus problems. And that's saying something. All you need is a nearby ocean shore. The heartbeat sound of the waves is also a wonderful bonus. "Shoot the sheriff on the first page." The above is a mystery/suspense writer's cliché about hooking readers into your story right from the very start. And that's why I think you wrote the best 31 word opening sentence for, "Her Valentine Reunion," that I've ever read in a novella! You 'shot' Cupid in the first sentence of a Valentine romance! Then, in the next few sentences, you set up the entire story so the reader is totally invested into the romantic situation. That's wow! This opening is why I prefer well written novellas over many novels: you get right to the good stuff right away. The action develops quickly because there is no room for padding and there's not much of a middle to sag -- if sagging was even possible. "Her Valentine Reunion" is among the very best. In a preemptive strike against the Valentine’s Day funk that hit her every year in February, Abbie Rogers had been working on her latest craft project she’d dubbed Operation Kill Cupid. She’d finished it just in time. After one last blast of steam, she turned off the iron and lifted the completed lap quilt from the ironing board. Suspending it by the corners and waving it in the breeze to cool the fabric, she carried it to her bedroom. She lovingly draped it over her hope chest—or hopeless chest as she and a friend had once called them. From now on, instead of looking at the hope chest filled with painful mementos and lost dreams, she would look at her quilt, embroidered with her new life statement. Single doesn’t mean alone. God is my portion. I will be content." I don't think I've read a more sympathetic heroine within the first page than Abbie. You just have to love her. How many times did you rewrite that opening before you got to the above? I once asked a very early Seeker how many times she rewrote a particularly good opening and she said, "50 times!" I'm curious with your experience. You make it look easy...but was it? Vince, I had fun with that opening! I'm pretty sure that was a first draft. I went back and looked at the first version of the story and also at the pages Janet critiqued, and they both had the same opening. Sometimes opening lines come to me before I start the story, as I'm doing the planning. Missy, congratulations on the new release! Yay for you!!!! And what a host of great ideas you've posted here. Thank you for that! I brought cookies. Tuesdays should always come with cookies, shouldn't they? It should be a rule. Every time I read "Chunky" it makes we want to eat some peanut butter and now you're talking about peanut butter cookies. I need one of those rubber bands to snap my wrists! Ruthy, the DJs on the JOYFM morning radio show I listen to said when we smell freshly baked cookies, if we'd wait two minutes before eating them, the aroma alone will satisfy our craving and we'll be less likely to eat the cookies. Do you believe them? I don't. :) And I'm not sure I can wait two minutes to find out. Thanks for bringing cookies! Missy, I'm really interested in the "tapping" practice. This is the first time I've heard of it. I also need to read more about the chunky method. I've heard enough about it that I have the general idea, but I want to know more. Thanks! Karen, you'll have to let me know if you try tapping! Love your post, Missy! Tapping has my attention! Does anyone have an update on Wilani/health??? Jackie, I haven't hard any updates from Wilani in about a week (unless maybe I missed a blog comment). I even checked the Seeker email. And I don't see anything on Facebook. I pray all is well. Come to think of it, even though it is late, some of the best tapping can be seen in Jackson Square in New Orleans. And I mean money tossing good tapping! I'll bet Pam has seen it too! Thank you for these tips! My favorite is the accountability partner. Great advice. Thank you!